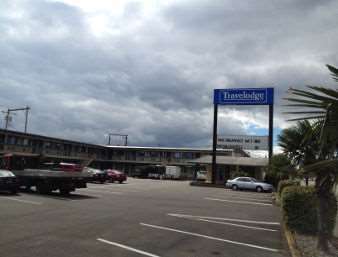 Centrally located on the main highway heading north through Aberdeen, the Travelodge Aberdeen is a two story, exterior corridor facility that offers 65 spacious guestrooms. We serve a fresh complimentary deluxe breakfast daily. Relax in one of our spacious guestrooms, which offer complimentary hi-speed wireless Internet, refrigerators, microwaves, in-room coffeemakers, and cable TV with HBO in all rooms. We offer complimentary local calls, and wakeup service. For your additional safety all rooms have electronic door locks, smoke detectors, emergency fire evacuation routes, For our business travelers we offer fax and copy services. Our courteous staff looks forward to making your stay a memorable and enjoyable experience. Pets allowed for a fee. One town's engineered solution to traffic fatalities among the local squirrel population. Six squirrel bridges cross the town's streets.